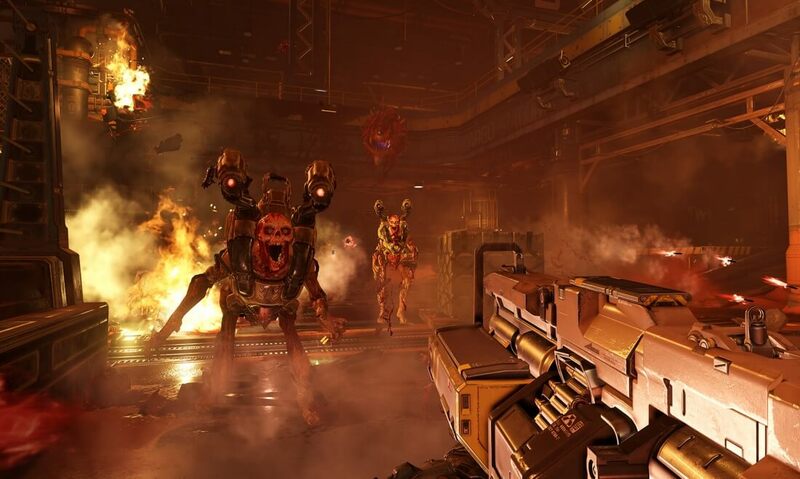 In our performance review of Doom – id Software's new fast-paced first person shooter – we noted that the performance delivered by AMD's Radeon R9 390 and R9 390X was below what we expected, giving an easy win to Nvidia's GeForce GTX 970. AMD has acknowledged the issue with Doom on their R9 390 series graphics cards, and has pushed out a Radeon Software Crimson Edition driver update to improve performance. Gamers who install version 16.5.2.1 can expected to see performance increases of up to 35% when playing Doom on the R9 390 or R9 390X. If AMD's claims about performance improvements are correct, the R9 390X should now come much closer to matching the performance of the GTX 970 in Doom, especially at lower resolutions where it struggled. As always, you can grab the Radeon Software Crimson Edition 16.5.2.1 drivers from here, or let Radeon Settings perform an automatic update for you.